Country Camping Schinderhannes si trova a Hausbay, Renania-Palatinato, è situato a un lago. Il campeggio a terrazze dispone di piazzole sia ombreggiate che, senza ombra e piazzole poco ombreggiate. Il campeggio dispone di un parco giochi e di un campo sportivo. Ogni anno un ispettore visita il Country Camping Schinderhannes, controllando oltre 200 tra attrezzature e altri punti di interesse del campeggio. L'ispettore è un dipendente ACSI e non lavora per il campeggio. We have used this site as an overnight stopover annually for the past 4 or so years. It is only a couple of minutes off the motorway and it has specific areas designated for one night stops. The facilities are clean and functional although perhaps not the most modern. The site has new owners this year. Handy for a sightseeing trip to Boppard which sits.on the Rhein. There are local garages so you can re-fuel without paying motorway prices. We will certainly use the site again because it is so very convenient. Nice site with large pitches and an on-site restaurant /bar. There is a big lake but it didn\'t look inviting for swimming when we were there. Nice walks around the site and by the lake. Very quiet countryside. A return to this site after 4 years. It was very quiet and peaceful. We used a pitch with access to water, electricity and grey water disposal which was very convenient. We had meals in the restaurant which was of high quality and excellent service. Though near the autobahn the resulting traffic noise was minimal and the site offers a good base for a stopover or a longer stay. Volete prenotare il Country Camping Schinderhannes o oppure saperne di più? Potete farlo usando i seguenti dati. A61 uscita 43 Pfalzfeld e seguire i cartelli (3 km). Immettere nel navigatore: Hausbayerstraße/Pfalzfeld. 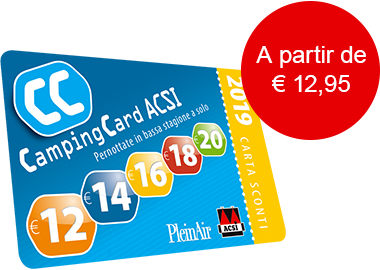 ACSI Eurocampings invia la tua richiesta di informazioni al "Country Camping Schinderhannes".